An actor on possession charges, hell bent on destroying his own life, meets a man who quietly works to make the world a better place. Please note, this has been with Totally Bound and has been added to and re-edited. If you have proof of purchase I will happily replace the book. 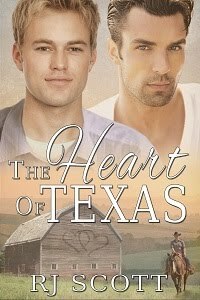 Hearts On Fire Reviews - 5/5 - "....Ethan Meyers is mourning the death of his partner while running Mac’s, an inner city half way house. Mac’s reaches out to inner city people teaching them math and language skills and Ethan is on a mission to save it. Jacob Riley is a recovering druggie and alcoholic actor sentenced to four months of community service at Mac’s. He enters the place ranting and cussing up a storm blaming everyone but himself for being there. Trials and personal awakenings change both Ethan’s and Jacob’s lives but can an older man fit into a TV star’s world and would he even want to?..." Bookwenches - 4.5/5 - "....Overall, I was impressed with this story. It entertained me, touched me, and satisfied my romantic sweet tooth. And oh yes, a word of warning for the emotional lightweights out there, like me: a couple of tissues might be required. I freely admit to shedding a tear or two over this story; in fact, I count this as a sign of a pretty decent romance. I will definitely be seeking out more of Ms. Scott’s work in the future...."
Dark Diva's Reviews - 4/5 - "....Moments by RJ Scott is a multi-layered novel of redemption with an engaging cast of characters. Jacob’s recovery is realistic and sometimes painful to read as he realizes he is ultimately responsible for the path his life has taken. Ethan and Jacob take the time to slowly and carefully cultivate their budding relationship, and the passion between them is explosive...."
Bittersweet Reviews - 5/5 - "...I also love the fact R J Scott avoided the temptation of making Jacob an A list movie star and his presence at the Oscars hardly raised a blip on the showbiz radar. When I read the Oscars featured in the book, I already had visions of the redeemed actor getting out of rehab and winning an Oscar but thankfully that wasn’t the case. Once the problems are resolved, there is a suitably romantic ending that will have even the most hardhearted sighing in pleasure...."
The Readers Roundtable - 4/5 - "....Moments is another astounding love story by RJ Scott. Ms. Scott has a knack for putting together what seem to be polar opposites but showing they really aren’t. ... Moments is about all those “moments” you find yourself never realizing you wanted until you experienced them. RJ Scott created a special couple in Ethan and Jacob. Another good read by a wonderful author...."
Padmes Library - 5/5 - "....I don't do spoilers but I will say there was a point in the story that I thought the author might take a certain path with Jacob's character but she didn't and the road Miss Scott took was much better and appreciated. Moments may not be what I would classify as an emotional roller coaster but it definitely pulls at your heartstrings and will stay with you. 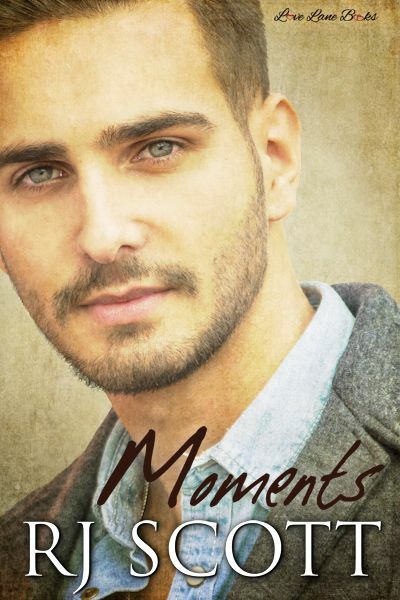 Moments is another great example why RJ Scott is on my short list of "1-click without the blurb" authors...."
Do you already know if there will be any major changes that would warrant a re-buy? Yes they do... You just can't see it from the Totally Bound front page - or at least they don't make it obvious. You can get to the GLBTQ site (now called Pride) from one of the menus and of course you can search on me, but I've not got many books on there now. I have the 2010 paperback. Is there any changes in this new version ? I have the 2010 paperback of this book. Is there a lot of changes in this version?